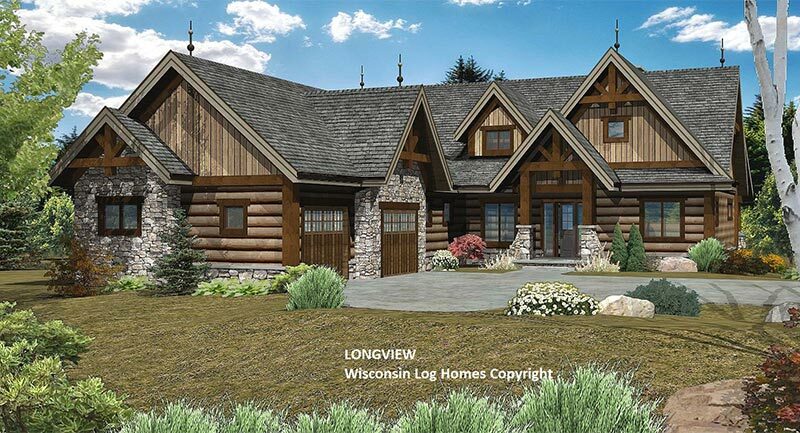 A fresh take on hybrid log home living, the versatile Longview provides an open concept layout that lends itself to the much-desired indoor/outdoor lifestyle. Nestled between the light-filled dining and great room, the kitchen features a large center Island and spacious corner pantry. Three sets of patio doors in the main living area make the covered porch with fireplace easily accessible and expands living space to the outdoors. 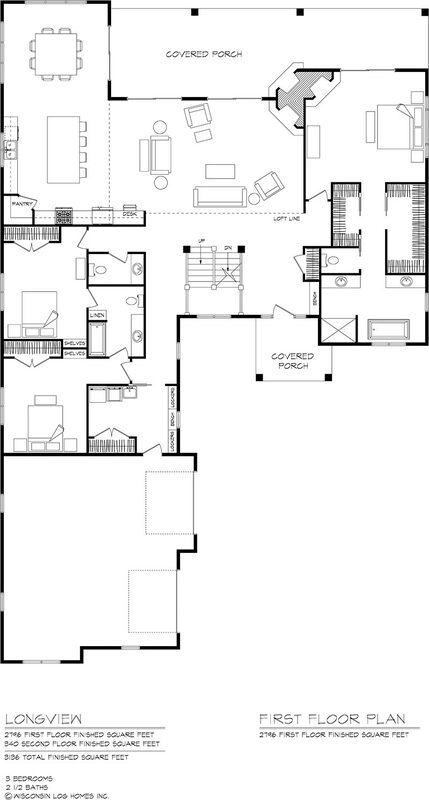 The master suite has its own wing and boasts a corner fireplace, a patio door that leads to the covered porch, and his-and-hers closets. 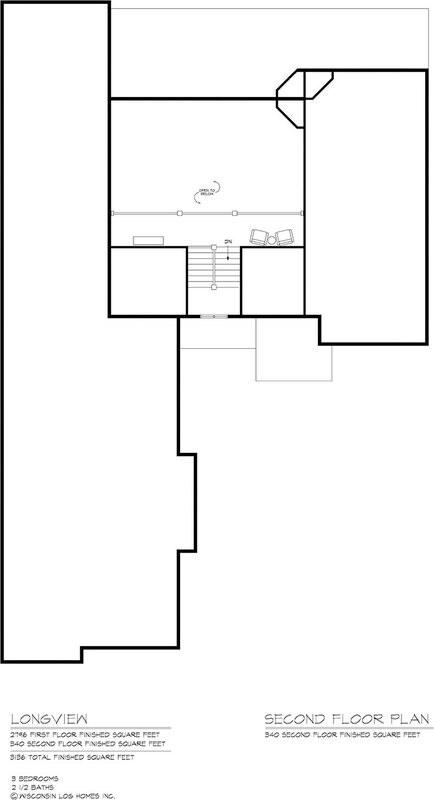 Two additional bedrooms and a laundry/mudroom sit in the opposite wing of the home.